Why I use Linux, part 5,234,657: Microsoft is now inserting advertisements for its software throughout its Windows 10 operating system. Windows 10 has been repeatedly reprimanded by technology journalists over the past year for the increasing amounts of advertising that are baked into the system. Advertisements in various forms have appeared in the Start menu, the lock screen, the taskbar, in the Windows Store, and various other areas. This seems to be the first time that users are noticing them in the File Explorer, the application that allows users to look through their documents and applications on their computer. An evening pause: For the New Year, this short film epitomizes the modern computer world. Do you use an iDiot? Link here. I suspect that most of my readers will be able to guess what computer we are talking about, and even where it is located. Why I use Linux, part 3,332,468: A consumer organization is calling for Microsoft to compensate people for the hardware damage caused by upgrades to Windows 10. Microsoft needs to pay compensation to customers who have suffered after upgrading to its latest operating system, consumer watchdog Which? has urged. Since the US technology firm pushed out the new software last year, it has been flooded with complaints. Customers who moved to Windows 10 experienced a slew of issues, including printers, webcams, wifi cards and speakers no longer working with their PC. Instances of lost files and email accounts no longer syncing, and, most significantly, computer encountering such significant issues customers had to pay someone to repair it were not uncommon, Which? has reported. The consumer group surveyed views on the upgrade from over 5,500 members in June this year. Of the 2,500 users who had been upgraded to Windows 10 from an older version of Windows, more than one in ten ended up rolling back to their previous version of the operating system. For once, this post is not a link to another Windows horror story. Instead, it is a link to a great deal to buy CrossOver 15, the professional version of Wine that allows you to run Windows software on Linux or Apple computers. Normally CrossOver costs $59.99. This deal sells it for $19.99. And the sale ends in one day! So, if you were thinking of trying Linux but were hesitating because you were unsure about whether you could run Windows software on it, this helps solve the problem. CrossOver does what WINE does, but with full telephone support. I must add one more thing for full disclosure: If you buy it through the link above, you will also help support Behind the Black, as I will get a credit for the referral. I’m doing this not for that credit but because I think this is definitely a good deal. However, why not get the referral at the same time? Note that the link above doesn’t take you directly to the CrossOver 15 deal. Click on Categories, then Software. You will see the CrossOver deal link in the second row. Today I will be installing Windows on VirtualBox. 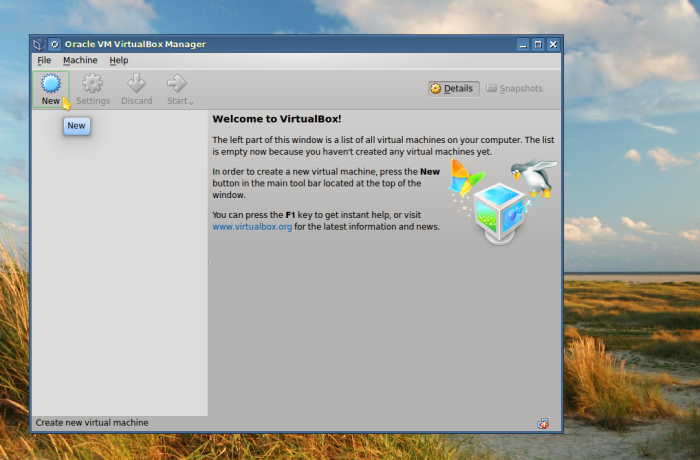 VirtualBox allows me to easily install and run Windows on my Linux computer without having to partition, format or otherwise disturb my hard drive. Once installed booting into the Windows guest is easy, just open VirtualBox and select Windows and hit start. Given the fact a virtual machine shares hardware resources with it’s host, generally a 64 bit host operating system can only host a 32bit guest operating system. Windows in most cases is still a 32 bit operating system. First of all I will download VirtualBox via the my distribution’s Software Manager. Once it’s installed you will usually find its shortcut under Applications/System/Oracle VM VirtualBox in your application launcher. Click on it and VirtualBox will open to its Welcome massage. To create a virtual machine, in this case Windows, choose “new” in the VirtualBox tool bar. The create virtual machine dialogue will appear where you will give the guest operating system a descriptive name and select its type and version, such as Windows XP. Your modern wireless computer is not safe: Hackers have devised an attack that is capable of not only recording the keystrokes and mouse actions of wireless devices, it can also take over the computer, and it can do it from hundreds of feet away. In other words, if you use a wireless keyboard or mouse, your system is very vulnerable and exposed. I find this story amusing in a sense, since my friends constantly make fun of me for not upgrading to these devises. I however see no reason to spend money on a new keyboard when the old wired one I have works fine. Now I have good reason, when I do upgrade, to avoid the wireless route. In addition to all the software available for Linux, Linux also possesses the ability to run Windows software using either WINE or in a virtual machine. This can be valuable in many ways, from running legacy software to running Windows and Linux on the same machine at the same time. ﻿A computer is nothing more than a toy unless it has the tools you need to get your work done, and Linux has a great set of tools. Most distributions come loaded with the tools most people use every day, a full office suite, graphics and media packages and so on. If you want more, a world of software awaits at your fingertips via the Software Manager. Think of it as the app store for your distribution, with tens of thousands of official titles vetted and available for download, most free of charge. No longer are you left to the wilds of the Internet to find what you need. Most Linux Software is functionally equivalent to that of Apple or Windows. Most open source titles are ported to all platforms including Linux. So if you use an open source title such as Audacity or VLC media player, just type its name into the Linux Software Manager search bar and you will find it. For propitiatory titles such as Photoshop just define what it does, image manipulation for example, and the Software Manager will suggest Linux equivalents like GIMP or KRITA. In addition Photoshop and some other Windows software run great on Linux using WINE – the Windows compatibility layer. More about that later. Unified Extensible Firmware Interface (UEFI) is intended to be a modern alternative to BIOS. Ideally UEFI-(Secure Boot) blocks malware from being loaded when the computer is booted by using digital keys which software must possess in order to be booted onto the computer. UEFI supplants the traditional BIOS and it’s post screen, appreciably shortening boot times but sometimes adding a few more steps to set up a computer to boot into Linux. If necessary UEFI-(Secure Boot) may be disabled to allow access to the BIOS and the booting of non-UEFI complaint operating systems, such as 32 bit Linux or legacy Windows, and set up the computer to boot into Linux as I described in the previous post. But I recommend using UEFI if at all possible. Why I use Linux: In its effort to convince users of earlier versions of Windows to upgrade to Windows 10, Microsoft is now inserting a full screen pop-up upgrade notification, often at decidedly unwanted moments. Almost any Linux distribution runs great on today’s hardware. But I’m writing this with aging computers in mind. With older computers it’s a good idea to know how much RAM (often referred to as physical memory) you have in order to select a distribution that will work well with your machine. With Windows this can be shown by opening “System” in “Control Panel.” RAM or physical memory will be expressed in Mb or Gb. Once you know this, you are armed with the knowledge to select a distribution. For machines with 512 Mb RAM and up I recommend a distribution from LinuxMint. For machines with under 512 Mb RAM I recommend Bodhi Linux 32 bit legacy. Operating systems come in 32 bit and 64 bit versions. With the exception of replacing Windows 8.1 and 10, a 32 bit distribution will work on any computer. (More about Microsoft and UEFI later.) At one time a 64 bit opening system allowed the use of more memory then it’s 32 bit kin. But with modern 32 bit distributions this is no longer an issue. So if you want to play it safe choose a 32 bit distribution. LinuxMint offers a choice of desktops and the website does a good job explaining the advantages of each. I would recommend LinuxMint 17.3 MATE 32 bit edition as most likely to work on any computer. But take a look at each of them and see which one you like. As long as you follow the minimum RAM requirements guidelines as listed in the description you will be okay. A woman has won $10,000 in damages from Microsoft for its attempt to upgrade her computers to Windows 10, without her permission. I suppose one could argue that this is a reason to keep Windows, as you’d have a chance to win a jackpot from them in court. I prefer to be able to do the work I want to do, without harrassment. So, today we begin this series. If all goes as planned, James will be sending these to me on a weekly basis, whereby I will post them each Saturday. So, get one of your old unused computers out of the garage now and get ready to make it useful again, while simultaneously freeing yourself from Microsoft! Your phone your TV, most of the devices you use everyday use Linux. 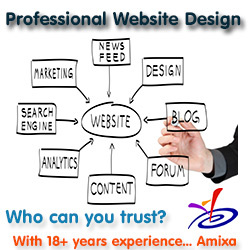 So too most of the world’s web sites including this one. So why not your PC? The purpose of this series, which we hope to post on a weekly basis every Saturday, is to at least in a general way acquaint you with desktop Linux and some of its advantages. More importantly, we hope to assist you with representative instructions for the installation and use of this most excellent computer operating system. But first a few words of explanation. The bottom like is always the same: Don’t run attachments sent to you unexpectedly, even from friends. Check with them to confirm that they meant to send it, and if they don’t confirm, delete it. I could also label this story as another reason I don’t use gmail, but that really is a different story entirely. The bottom line: Microsoft’s culture has always been that of an immoral bully who has no ethics, even when they created good software (which was not often). Why anyone would continue to rely on them baffles me completely. Linux can be a pain sometimes, and it requires a bit more hands-on work by the user to make it function, but overall in the ten years since I abandoned Windows and switched to Linux (first with the Debian operating system and now with Kubuntu) I have found my work on my computer to be far more satisfying and successful. I can mostly get things done the way I like to do them, not as dictated by some software geek working at Microsoft’s headquarters. Which is why this story interested me: “I thought my daughter clicked on ransomware – it was the damn Windows 10 installer.” It describes a number of stories where Windows 10 took control of a person’s computer and imposed an upgrade, against their will. This story, among many others, only confirmed for me that my decision in 2006 was a wise one. I will never return to Windows, and if I was certain that computer projectors could read Linux laptops I’d switch the laptop to Linux as well. It is just a shame however that so many people still stick with Windows, as it often makes doing their work difficult, if not impossible. When a product doesn’t work for you, you find another product. That’s how freedom and competition work. What next for the computer Go program? The software uses neural networks to learn from experience. For example, to train for its Go match the computer program studied 30 million Go board positions from human games, then played itself again and again to improve its skills. DeepMind’s founder and chief executive Demis Hassabis mentioned the possibility of training a version of AlphaGo using self-play alone, omitting the knowledge from human-expert games, at a conference last month. The firm created a program that learned to play less complex arcade games in this manner in 2015. Without a head start, AlphaGo would probably take much longer to learn, says Bengio — and might never beat the best human. But it’s an important step, he says, because humans learn with such little guidance. DeepMind, based in London, also plans to venture beyond games. In February the company founded DeepMind Health and launched a collaboration with the UK National Health Service: its algorithms could eventually be applied to clinical data to improve diagnoses or treatment plans. Such applications pose different challenges from games, says Oren Etzioni, chief executive of the non-profit Allen Institute for Artificial Intelligence in Seattle, Washington. “The universal thing about games is that you can collect an arbitrary amount of data,” he says — and that the program is constantly getting feedback on what’s a good or bad move by playing many games. But, in the messy real world, data — on rare diseases, say — might be scarcer, and even with common diseases, labelling the consequences of a decision as ‘good’ or ‘bad’ may not be straightforward. Hassabis has said that DeepMind’s algorithms could give smartphone personal assistants a deeper understanding of users’ requests. And AI researchers see parallels between human dialogue and games: “Each person is making a play, and we have a sequence of turns, and each of us has an objective,” says Bengio. But they also caution that language and human interaction involve a lot more uncertainty. Google’s AlphaGo computer program today completed a three game sweep of Go professional champion Lee Sedol. The algorithm seems to be holding back its power. Sometimes it plays moves that lose material because it is seeking simply to maximise its probability of reaching winning positions, rather than — as human players tend to do — maximise territorial gains. Jackson thinks that some of these odd-looking moves may have fooled Lee into underestimating the machine’s skills at the beginning of game 1 — which, I suppose, makes AlphaGo a kind of computerized hustler. In the first game of a best of five for a $1 million prize, the computer has beaten professional Go player Lee Sodel.